Fifty years ago, on November 26, 1968, rock supergroup Cream played their farewell concert at London's Royal Albert Hall. Drummer Ginger Baker, guitarist Eric Clapton and bassist Jack Bruce were only together for two years but their influence on modern music is immense. To mark the anniversary of the landmark farewell show, and to pay homage to the band's legacy, Ginger Baker's son Kofi Baker, Jack Bruce's son Malcolm Bruce and Eric Clapton's nephew Will Johns have come together for a four-date Music of Cream UK tour that starts at Glasgow O2 Academy on November 23. 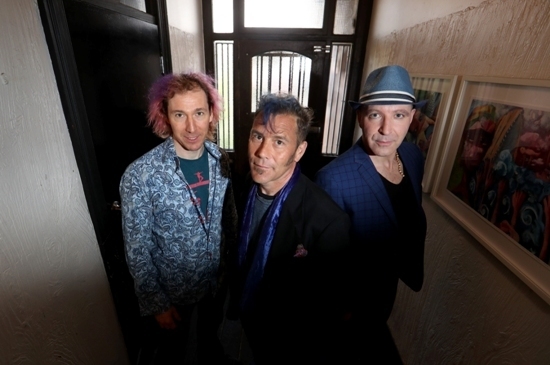 As well as performing legendary tracks like White Room, Sunshine Of Your Love and Crossroads, the trio will share stories and interact with big screen footage of Ginger, Jack and Eric. 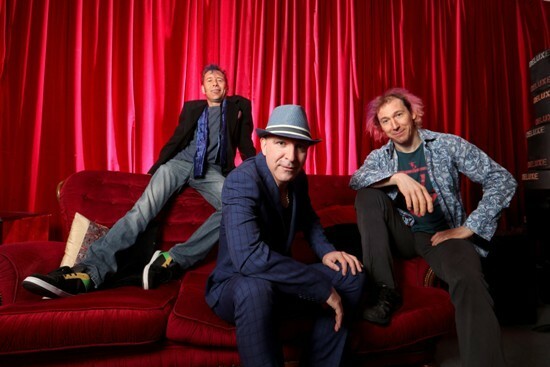 The UK dates – they also play Leamington Assembly, London O2 Forum Kentish Town and Manchester O2 Ritz – follow a successful inaugural tour across Australia and New Zealand in 2017.We had such an amazing response to our first tour in Australia and New Zealand that we've spent some considerable time adding to the show," says Malcolm Bruce. "Now we not only have this amazing legacy of music to play, but an opportunity to share some wonderful insights and stories with our audience… a backstage pass like no other, if you will." Malcolm, the son of Cream singer and bassist Jack Bruce, is a composer, songwriter, multi-instrumentalist and engineer. Malcolm grew up in the thick of rock royalty and, via the Guildhall School of Music, began performing professionally at 16-years-old. He has shared studios and appeared on recordings with Little Richard, Elton John, Eric Clapton, Dr John and Joe Bonamassa, and recorded and performed with his father in the UK, US and Europe. Malcolm launched his debut solo album Salvation in 2017 and toured the UK and US. Kofi Baker first performed live with dad Ginger on the iconic BBC TV show The Old Grey Whistle Test, proving that at the age of six he had inherited his father's drumming talents. He has subsequently played drums behind Jack Bruce, John Lennon and Steve Marriott, and as half of a polyrhythmic powerhouse with his father across Europe and the US. More recently, Kofi played and toured with Uli Jon Roth (Scorpions), Vinny Appice (DIO, Black Sabbath), Vinnie Moore (UFO), Glenn Hughes (Deep Purple, Black Country Communion), Rick Derringer, Corky Laing and Robben Ford. His own albums include Lost City and Abstract Logic, with Jonas Hellborg and Shawn Lane. He says of the forthcoming shows: "We have a few surprises in store that we know people are going to really respond to. We can't wait to be on the road again playing these shows in the UK in November." Guitarist and singer Will Johns is the son of recording engineer and producer Andy Johns (The Rolling Stones, Led Zeppelin, Jimi Hendrix), and nephew of fellow legendary producer Glyn Johns (The Who, Eric Clapton, The Eagles). Other uncles include Eric Clapton and George Harrison – ex-husbands of his mother's sister Pattie Boyd – and Mick Fleetwood. Will has performed with Joe Strummer, Ronnie Wood, Jack Bruce, Dennis Chambers, Mick Taylor and Bill Wyman, and released three solo albums: Count on Me, Hooks & Lines and Something Old, Something New. 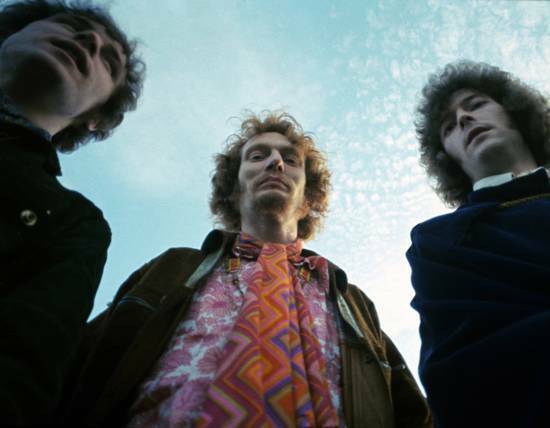 Cream provided the supergroup blueprint for others to follow. The band's third album, Wheels of Fire (1968), was the world's first platinum-selling double album, and collectively they sold more than 15 million albums worldwide. Apart from a brief reunion in 2005 of seven shows at London's Royal Albert Hall and New York's Madison Square Garden, Cream retained an almost mythological status in the music world, right up until the death of Jack Bruce in 2014. Nov 26: O2 Ritz, Manchester.